Traditional sources of revenue, generally resulting from tax and accounting practices, have been eroding over the past several years largely due to the availability of new technology and software. You know better than anyone else that to remain profitable, you must consistently develop fresh sources of growth and income. Because they trust you and respect your advice, your clients come to you to help them address their financial concerns. Who better to trust than the one most familiar with their financial needs and wants? But have you been able to provide all that your clients need? For some time now, CPAs have been able to get licensed to sell commissioned products, typically life insurance and securities. Tremendous opportunity now exists for you to provide your clients with the financial products and services they need. Are you ready to take advantage of those opportunities? You, the CPA, are in a position to make choices. Maffe Financial Group is in a position to help you make those choices. We can review with you, in detail, what your various choices are, and discuss ways to make them work for you . 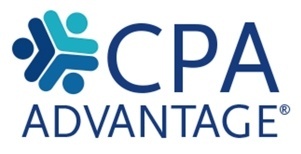 1CPA Advantage® is a registered trademark of National Life Insurance Company, Montpelier, Vermont. National Life and Equity Services, Inc. are affiliated companies.